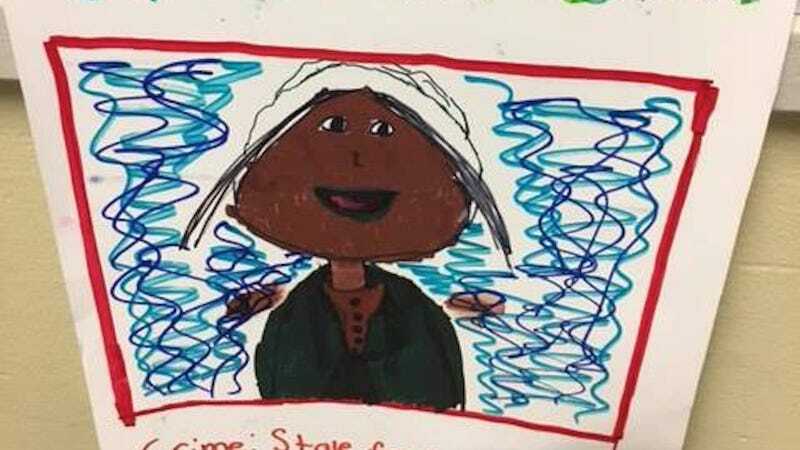 Parents of students at South Mountain Elementary School were disturbed when they learned of an assignment recently completed by fifth graders: designing slave auction posters. According to CNN, the South Orange, New Jersey school includes a Colonial America Project in their curriculum—not uncommon for American public schools—but parents and local residents regarded this particular assignment as offensive, rather than educational. Resident Jamil Karriem posted photos of some of the posters to Facebook, urging parents to take action. South Orange-Maplewood superintendent Dr. John J. Ramos Jr. explained that the purpose of the project was for students to contemplate “the ugly and foundational role that slavery played in Colonial America.” Students researched a colony and, among their various assignments, were asked to make ads for slave auctions that incorporated their research. However, when parents protested the grotesquerie of the project, Ramos had the posters removed and stated that the assignment would not be repeated. “While it was not our intention, we recognize that the example of a slave poster, although historically relevant, was culturally insensitive,” Ramos said in a statement sent to CNN. “We certainly understand and respect the strong reaction which some parents had to seeing slave auction posters included with other artwork from the assignment...We are rethinking the Colonial America Project, and will eliminate the example of a slave auction poster. Incidentally, a Google image search for “slave auction signs” yields a bounty of examples. Not all parents found the assignment trivializing or offensive; indeed, some argued that replicating auction posters was a productive way of teaching the brutal history of slavery.